The objective of the healing blockage is to form a “gingival channel” between the implant placed in the bone site and the surface of the gum, in order to be able to place the protetycal structure and allow its correct connection. 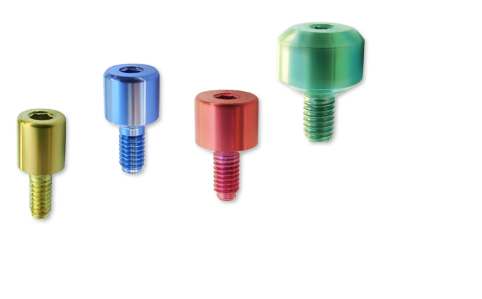 The healing blockages have slightly major diameters than implants, in order to not damage the gum and have the characteristic color of the series. Series 4 Thread 2.3 mm. Series 5 Thread 2.3 mm. Series 6 Thread 3 mm.